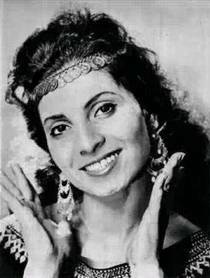 Yemenite singer, who was famous in East Germany (DDR) of 1964 and 1965.
which she performed in tv- and radio-shows and in several concerts. 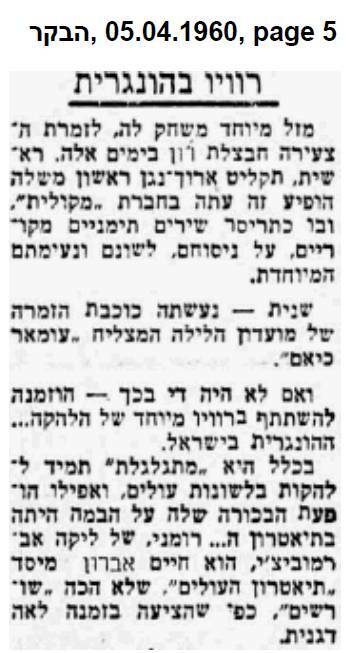 Havazelet Ron sang in the club "Nachal Alexander"
in a place called Michmoret in 1962. 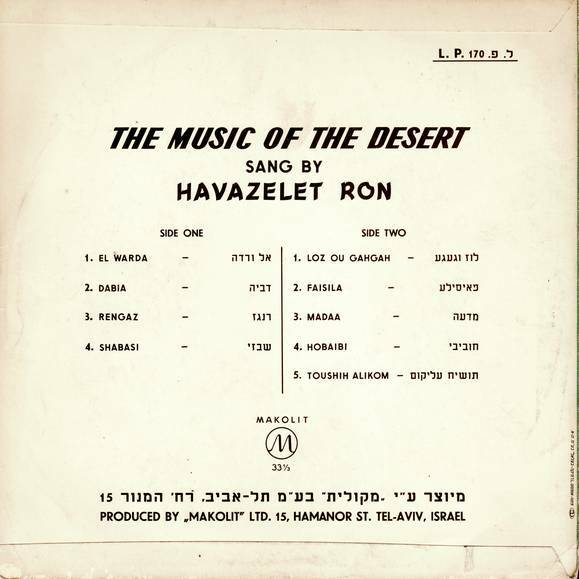 Havatzelet Ron, born in Aden, 17 years in Israel, is a singer: "Like a fish, fry him with pepper and salt. his actions justify and stoning." 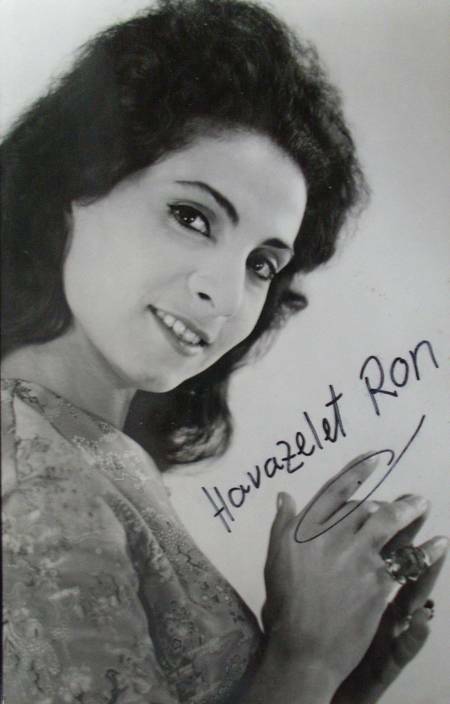 A special luck for the young singer Havazelet Ron, these days. 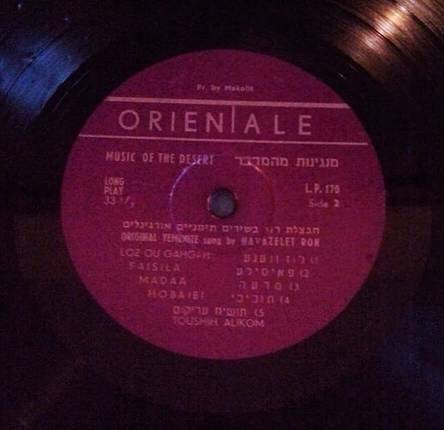 First, a LP record of her own has just appeared in the company "Makolit", which contains about a dozen original Yemenite songs, their wording, their language and their special tone. 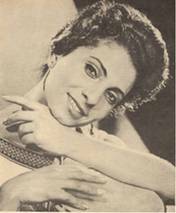 Second, she became the star of the successful nightclub "Omar Khayyam." 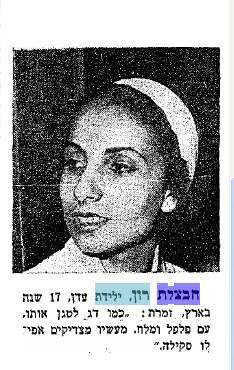 And if that were not enough, she was invited to participate in the special performance of the Hungarian band in Israel. 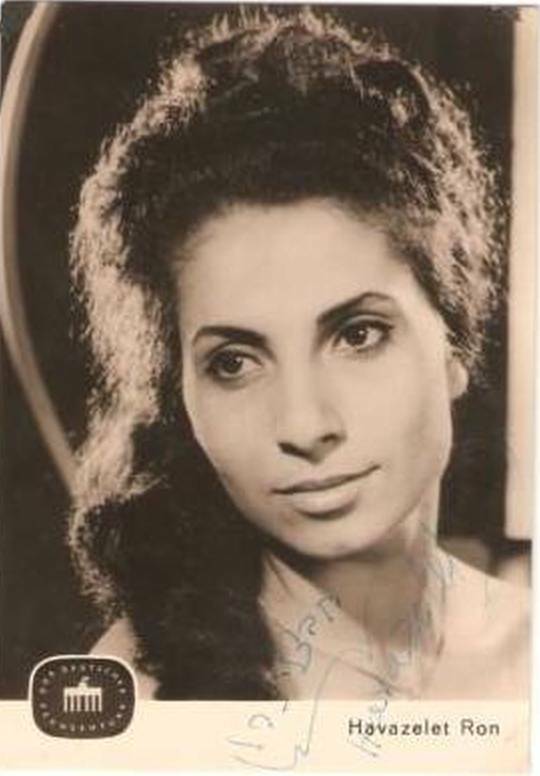 She is always "rolling" to immigrant language bands, and even her debut on stage was in the Romanian theater of Haim Evron, founder of the "Immigrant Theater", which did not take root, as suggested by singer Leah Deganit. 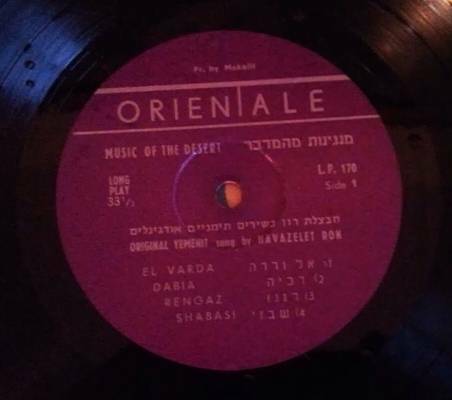 I found out that Havazelet Ron recorded some nice songs in 1961 in Tel Aviv. Finally I found out the mystery about Havazelet Ron, when her son contacted me. There unfortunately I learned that Havazelet sadly passed away this February. 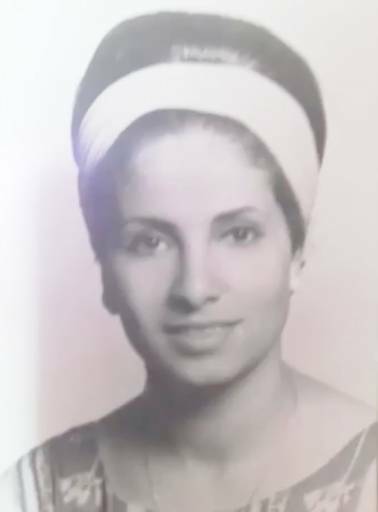 she met someone in West Germany and got married in 1968. 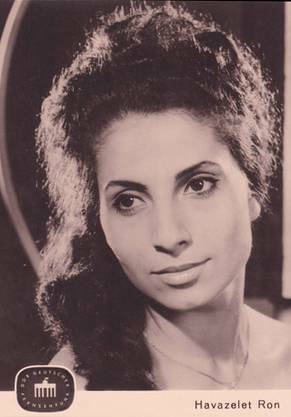 Before her son was born in 1969 she left the entertainment business and became a housewife. The young family happily lived in Mannheim (West Germany) until 1980. Then they moved to Israel and stayed until 1984, when they went to Los Angeles (USA). Later Havazelet Ron worked as a kindergarden teacher and enjoyed her grandchildren. performed in various tv shows and toured with a group through several countries (e.g. Bulgaria). 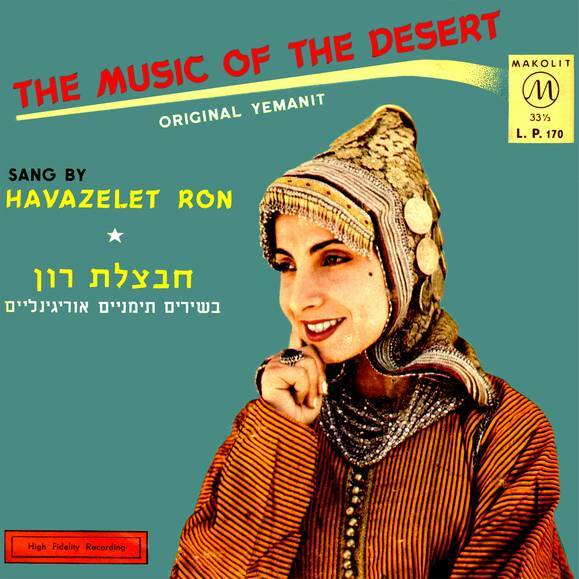 If you have any further more info about recordings by Havazelet Ron, please contact me (connydrees (at) web.de)!